Research filed(s): Industrial Enginnering, Occupational health and safety management. Thesis title: Evaluation of industrial companies occupational health and safety management system according to the standard OHSAS(18001/2007). Where did you undertake your research? 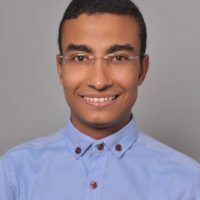 I undertook this research in the National Institute of Occupational Health and Safety at the University of Elhadj Lakhder (Batna) under the supervision of Dr Mouloud Bourarech. The work was reviewed by Prof Ahmet Peker, Lecturer at Selcuk University Turkey, and Mr Mohammed Abdessalam, Consultancy expert, at OSHA Centre in Dubai. The practical aspects of the work was undertaken at Nabors Drilling International limited Company (NDIL Rig 283), which is located in the field of Hassi El Terfa HTF, about 60 km outside of Hassi Messaoud city. Generally, organisations are increasingly concerned with achieving and demonstrating sound occupational health and safety (OH&S) performance by controlling their OH&S risks, and many agencies and organizations promote and develop OH&S standards. In this modest work, I evaluated an American company’s health and safety management system according to the standard OHSAS18001:2007, and diagnosed the extent to which company compliance, conformity and commitement with this effective tool through three criteria; I evaluated OHS Management System using the action conformity Pipe Hydrostatic Method scoring system and performance indicators; I used Prior Techniques, where I reviewed documents, visited the work field and interviewed safety officers, rig authorities and many other employees; and used the Posterior Techniques, where I analysed accidents and other appropriate indicators. I developed a curiosity towards the different OH&S standard schools during my undergraduate studies. So I chose a topic where I could apply a different style of standards to evaluate an OH&S management system. I also had a lot of support from a Permit work Manager at Sonatrach, Mr Walid Hamzi, who motivated me to take on this opportunity to study OH&S management systems. Major organisations usual aim to target the highest levels of stability of work environment for their work-force, which is why it is important to have an Occupational Health and Safety Management System (OHSMS) that is well organised and planned according to international regulations and procedures. An effective specification that has been created to help organisations develop and improve the occupational health and safety is call OHSAS (180001:2007). My study enables a company to establish their level of compliance to the requirements of the OHSAS (180001:2007) specification, to identify compliance gaps, and to put together an action plan to address those gaps. There is a contrast of occupational health and safety culture that varies from one company to another, and that is characterised by range of applicability, effectiveness and proportion of adherence to particular standards. In resent years, researchers tended to focus on a single dimension when evaluating these processes. 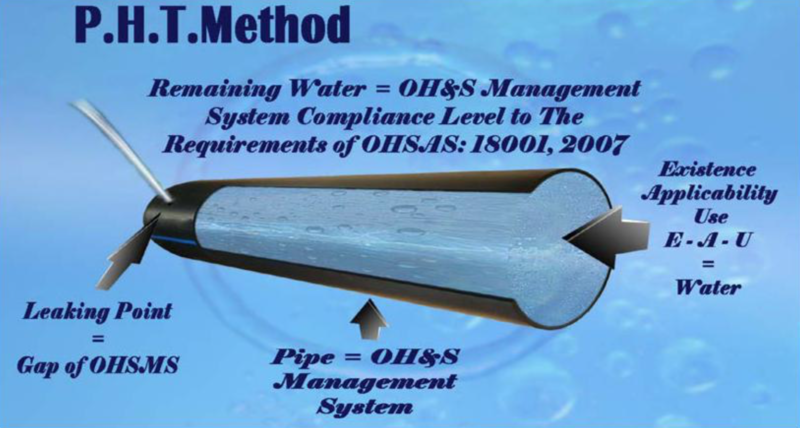 The main contribution of this study is in the combining of all three dimensions of OHSMS evaluation using the Pipe Hydrostatic Test Method a scoring tool. At the core of this process is the practical estimation of a company’s compliance level. It is based on three criteria; existence, applicability, and use. Existence refers to the availability of a particular requirement formula within the OHSMS. Applicability is concerned with the appropriateness and adherence of the requirement formula to the ISO 19011 standard (for instance, that it is correct and complete). Finally, use refers tot he degree to which that particular requirement is applied in the workplace practice.